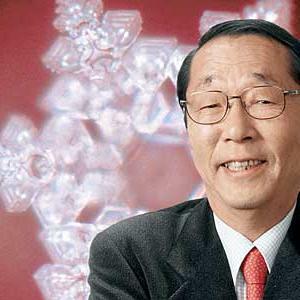 Dr. Masaru Emoto born July 22, 1943 (age 71) passed away peacefully with his wife by his side in Tokyo, Japan early this morning (October 17th, 2014). His last word was “Arigato”. (“Thank you” in Japanese). Since he became ill in Shanghai, he has received so much love and gratitude from his dear friends from all over the world. He was very encouraged and happy to receive your kind messages with love. He used to say, “Life is LOVE which is a gift from God and parents, and DEATH is gratitude for going to a new dimension”. So now he is in another dimension and continues to look over us warmly with love and gratitude. Dr. Emoto’s book “The Hidden Messages in Water” became a New York Times bestseller. This book illustrates his discovery that crystals formed in frozen water reveal changes when specific, concentrated thoughts are directed toward them. 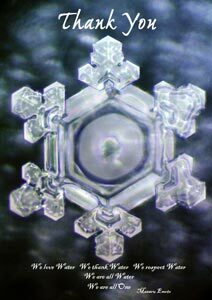 He found that water from clear springs and water that has been exposed to loving intention shows vibrant, intricate, and beautiful snowflake patterns. In contrast, polluted water, or water exposed to negative intent, forms broken, asymmetrical patterns with dull colors. 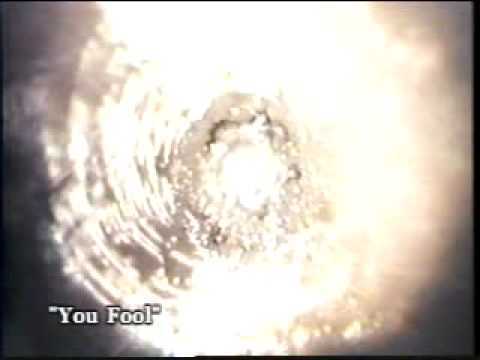 Another one of the most famous and controversial experiments Dr. Masaru Emoto conducted was labeling rice and repeating both negative and positive phrases to them daily such as “Thank you” and “You fool” in Japanese with interesting results. The rice that was thanked was shown to ferment, and the rice that was hated turned black. The rice that was ignored simply rotted. Have you done the rice experiment? Share your results with us in the comments.